Periodically rotating the tire of your vehicles is an integral part of proper maintenance efforts. At iAUTOHAUS, we do tire rotation for luxury and European vehicles in Arizona. We have ASE-Certified Technicians at our BOSCH authorized service centers in Temple, AZ. 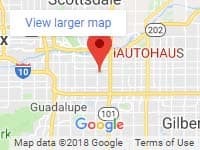 Since 1997, iAUTOHAUS has been doing repair and servicing of luxury vehicles for the surrounding areas including Phoenix, Chandler and Queen Greek. We have an extensive indoor showroom where we sell European pre-owned luxury certified vehicles including BMW, Land Rover, Jaguar, Mercedes Benz, Porsche and more. Schedule a tire rotation service in Arizona with iAUTOHAUS today! By getting your tires rotated, you’ll maximize the life of the tires. In every vehicle, the weight exerted on the rear and front axles differ. Since most cars feature front engines, the front wheels tend to wear fast compared to the rear. Don’t forget that braking and steering still put pressure on the front wheels making them wear even more. Tire rotation not only helps to ensure even tread wear but also prolongs the life, enhances gas mileage and guarantees a comfortable ride. Tire rotating involves moving the wheels and tires of an auto from side to another. Whether you drive a Mercedes Benz or a BMW, iAUTOHAUS has experienced technicians who will rotate your tires from the back to the front, diagonally and left to right per the vehicle recommendations. How Often to Rotate Tires? 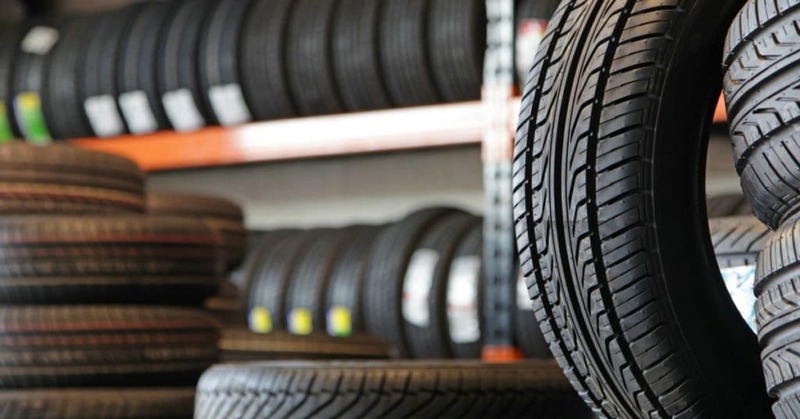 Every vehicle has its own tire rotation frequency and pattern as recommended by the manufacturer, usually after driving a given number of miles. Some car makers recommend rotating tires after changing your oil, which is usually after driving several thousand miles. Other models like BMW require an oil change after 15,000 miles, which would take a long time before rotating the tires. In that case, rotate tires after roughly 6 months. There are telltale signs that your tires need rotating. Initially, you’ll discover uneven wear on the tires. Measure the depth of the tread at different points on each of the four wheels, and if they are different, you need to get them rotated. Also, you might discover that the wheels in the front axle tend to wear faster than those in the rear axle meaning you’ll need to rotate them. The final way to tell is to be keen on noise and vibrations notable when at different points in the vehicle. iAUTOHAUS is a BOSCH Service and Repair Center offer tire rotation in Arizona. We not only offer service and repair but also sell hand-selected, pre-owned high-end European vehicles. Our team of dependable and experienced technicians knows the ins and outs of European luxury cars. What’s more, we have service specials and offer financing for car sales, repair, and service for customers with poor or no credit score. Schedule your service or calls us on 480-264-6513 for more info.